1. What led you to your position at Rhino River Lodge? I did a nature training course at a training provider in the area, I wanted to stay in the region as it was the bush I was familiar with. An opening came up in Zululand Rhino Reserve (ZRR) and I was in the right place at the right time. I graduated on the Friday, came for an interview on the Saturday and moved in on the Sunday, and the rest is history! 2. What is your favourite part of being a game ranger? My office always holds a new challenge and you can never really know what’s around the next corner. I am constantly surprised by my surrounds and its movements. 3. Any sighting on ZRR that stands out as your favourite? It was cold and misty morning, we were on wide open plains and there were a few ostriches milling about in the open. I stopped, turned the engine off and was just taking in the setting, when like a domino effect all the ostriches started twirling in consecutive order. It was the most beautiful display I have ever seen and I’m not exactly sure why they did it. But the misty morning made it incredibly mysterious. 4. You are a really talented writer, what do you find most inspiring as a subject? When animals react to situations with a comical solution. I was once watching two lions laze about in the grass doing what lions do best: sleep. And all of a sudden a disgruntled black rhino appeared onto the scene and shook up the whole scenario by charging after a fully grown lion, the lion ran, tail between legs like a naughty school boy. I couldn’t wait to get paper to pen to describe the animals’ antics. 5. 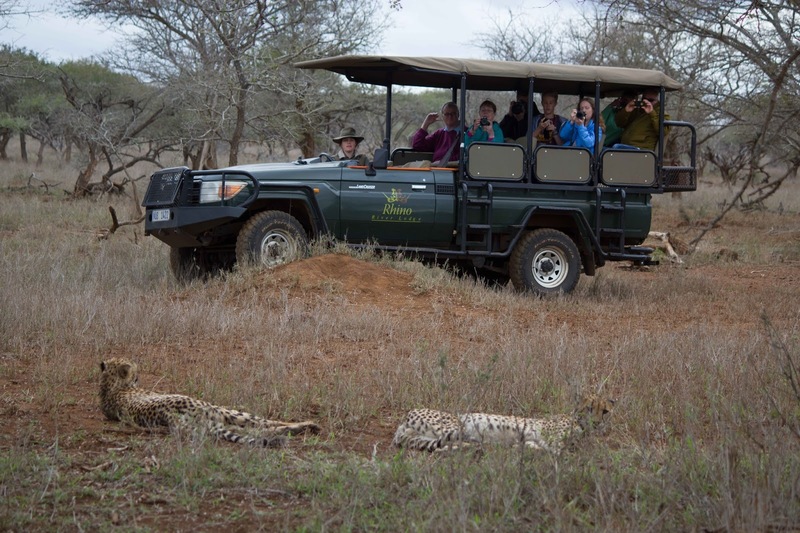 Do you have a favourite animal to view on game drives? If so, why? Black rhino, they are one of the only animals in the bush that are interested to see you. Most other animals will turn an eye, whereas the black rhino is all ears and coming straight for you at the slightest whiff or sound. Its exhilarating, keeps you on your toes. Seeing the sunrise and sunset every day, the smell of potato bush in the evenings, the fact that when I call my family all they can hear is bird chatter. It’s an amazing lifestyle. 7. Any books on Africa, nature, conservation that you found inspiring? I have read a few books by game rangers, it’s amazing how many stories one accumulates by living in the bush, never a dull moment! A simple act of driving to work or changing a tyre can turn into a story retold by the fire for years to come. Man with the Black Dog and A Game Ranger Remembers are a few off the top of my head. But I appreciate any story that has me glued by the first page.